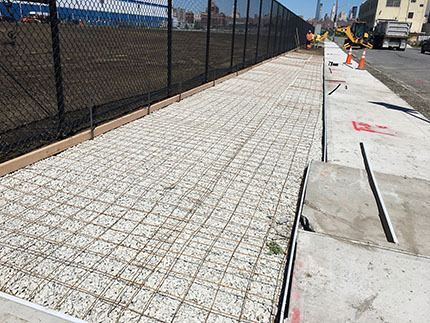 Continued erosion and sediment control measures until the next hydroseeding event scheduled for September 2017 in accordance with NYC Parks specifications. 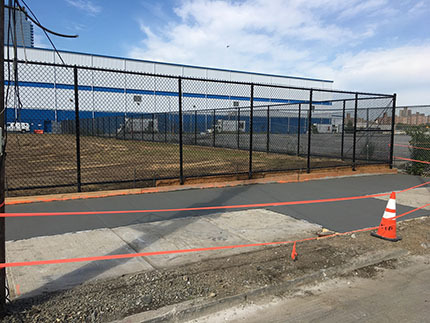 Installed permanent fencing and gates across N. 12th Street. Adjust the Site fence height to final Site grade. 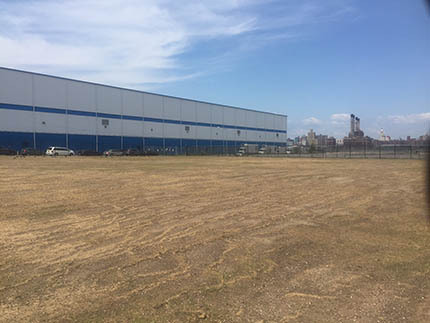 Community air monitoring, initiated on Tuesday, December 1, 2015, was completed on May 31, 2107, with the completion of all intrusive activities on Site. 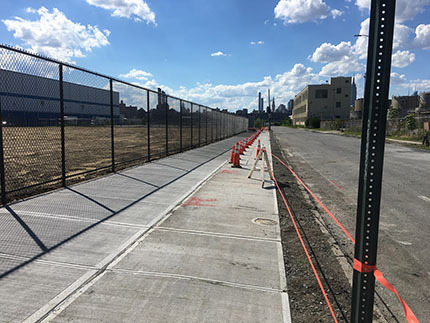 If you have any questions or comments about the work on the Site, please use the Williamsburg MGP Telephone Hotline at (718) 982-7349. Installing sidewalks on North 12th Street. 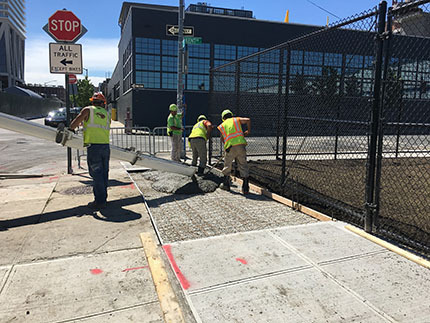 Completing sidewalk installation on North 12th Street. 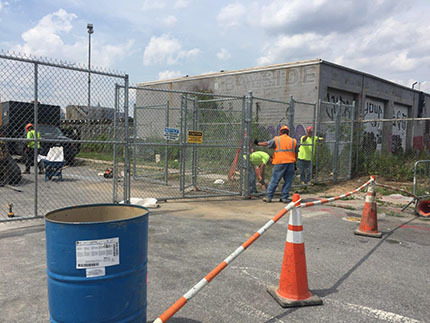 Installing permanent fencing and gates across North 12th Street. 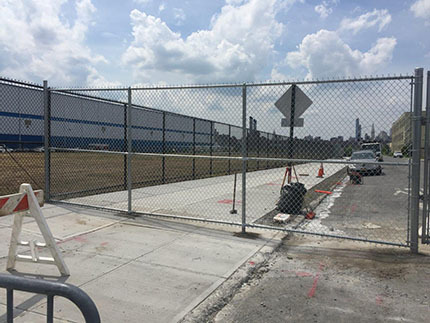 Fence and gates installed across North 12th Street.